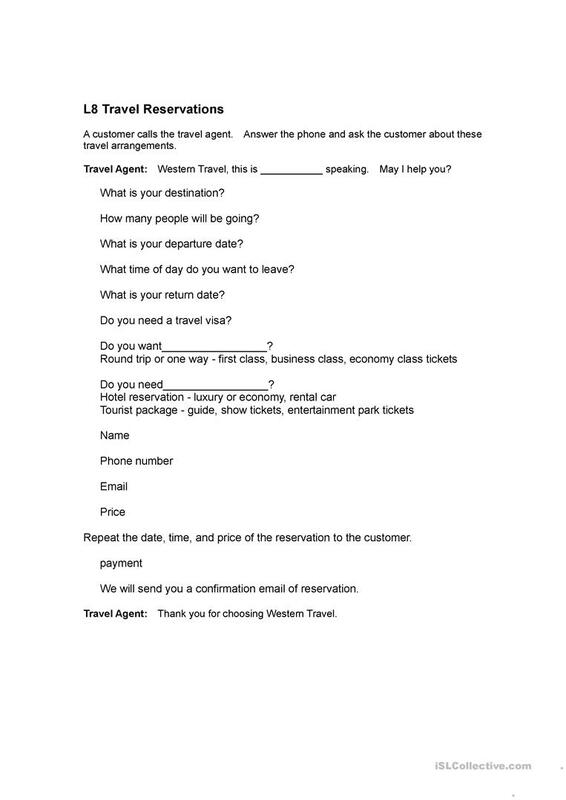 This is a practice dialogue for travel and reservation vocabulary. The present downloadable handout is meant for adults at Pre-intermediate (A2) level. It is aimed at practising Future continuous tense: (will be V+ing) in English, and can be used for developing your pupils' Speaking skills. It features the topic and words of Phoning and Travel.